Praise da’ lord for Johnny Cupcakes | Do the twisted. We live in a world of been there, done that, seen it, heard it. Originality runs deep, but it also runs thin. Someone comes up with a great idea, product, style, etc., next thing you know, other people and companies follow. But not Johnny Cupcakes. So let me tell you something about Johnny Cupcakes; they don’t sell no cupcakes. They just sell t-shirts with cupcakes on them. 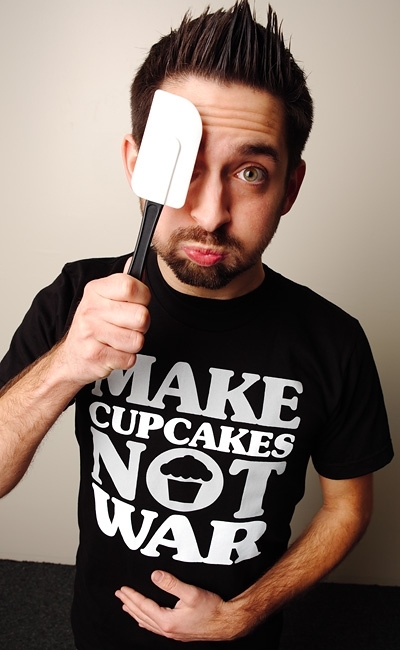 Johnny Cupcakes = Brilliance. With no carbs, sugars, or fat, you can enjoy your love of cupcakes and look good at the same time. Not to mention they offer an incredibly inspirational and badass retail experience. Some people get confused and think they’re going to fulfill their sweet tooth when they walk into their stores, which are designed to resemble bakeries. 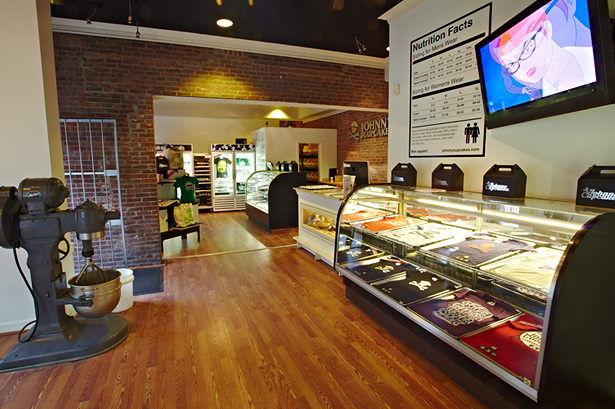 So their t-shirts and apparel are displayed just like cupcakes and are even served in pastry boxes. Genius! The best part is, all of the designs are limited edition. That means once they sell out, you will never see them again. I don’t know about you, but it’s extremely awkward when you walk into a room and see someone else wearing the same shirt as you. Then you have to battle it out to see who looks better in it. It’s cool to know that the designs are treated like collector’s items and you won’t ever see a duplication. Makes you feel mighty special. And to continue to make you feel special, please enjoy my new FAVORITE video Johnny Cupcakes did that I’ve watched, oh say 20 times already. Love the post and the video. What an awesome idea!